The last time we talked, it was all about the wine. My fiancée and I visited California last September, and I couldn’t wait to share my teeth stained adventures, and I promise there will be more to come. Today, it’s all about the food. It seems that the majority of my days I am eating food, talking about food or thinking about food. Nate and I laugh because we’re usually talking about what we plan to eat for dinner while we’re still eating lunch. Since we always have food on the brain, it seemed fitting to plan our entire trip around just that … food. I can’t take the credit for the strategic meal planning that took place on our adventure, that all goes to Nate and his sister. We had every day mapped out, and we’re sure to never overlap the same cuisine in the same day. We definitely had days that we “overbooked” ourselves and opted for a nap over nachos, but all in all, a very successful trip. 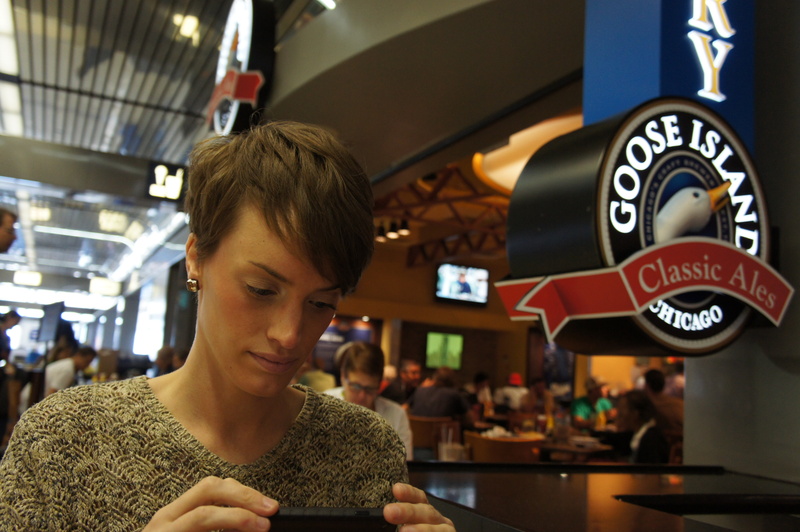 A quick stop at Goose Island before hopping on the plane to L.A.
Let’s start from the top. Fresh off the plane from Chicago to L.A. we jumped in the car with Nate’s sister (I didn’t know at the time, but my future sister-in-law) and rushed to Animal. The restaurant was dimly lit and bustling with people. Our waiter was as hip as I could hope for my first L.A. restaurant, and guided us through the experience with ease. A kampachi tostada served with herbs, a fish sauce vinaigrette and peanuts stuck in our conversations for days. Chicken liver toast, spicy beef tendon chips, bone marrow, shrimp and rabbit sausage spring rolls, barbeque pork belly and sweetbread ‘milanesa” filled the table, and we shared stories while we shared our first meal of many together. The wine and stories came home with us that night, and lunch was our next meal on the docket. 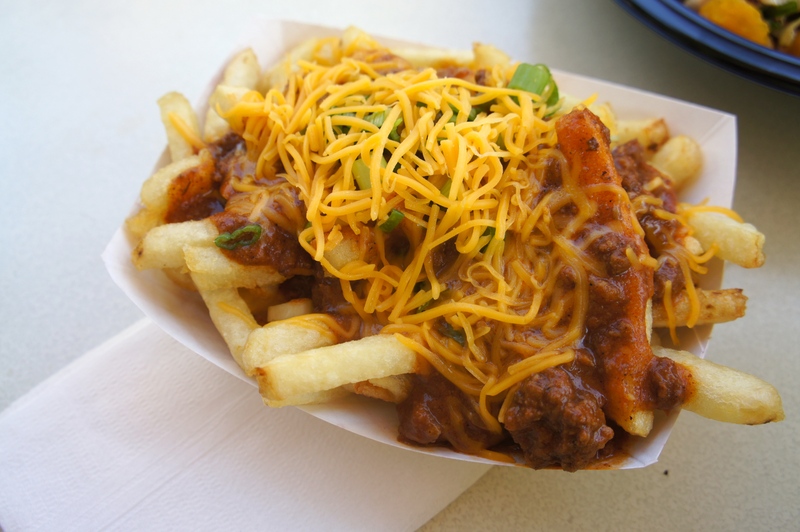 Chili cheese fries on the brain, we decided to head to The Oinkster. This place is what fast food chains are like in your dreams, but better … way better. We devoured the house cured pastrami, slow roasted pork, chili cheese fries that I still daydream about. And of course, an ice-cold beer. These are the chili cheese fries that haunt my dreams, but in a very good way! 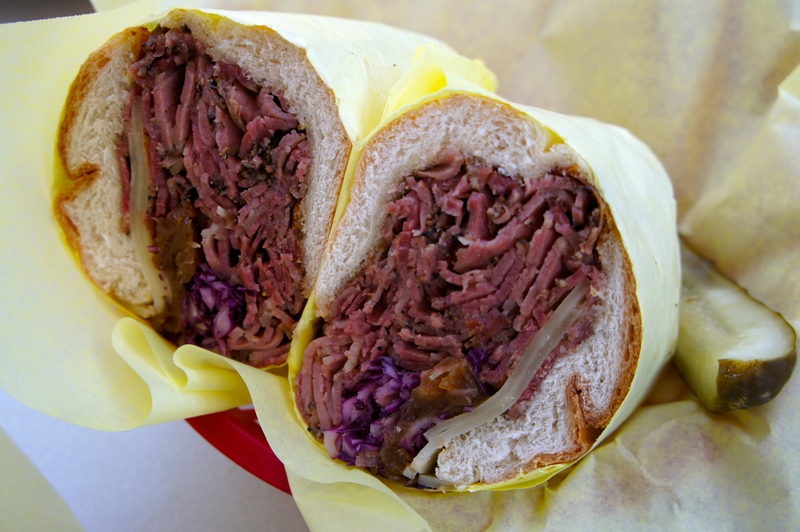 House Cured Pastrami from The Oinkster. 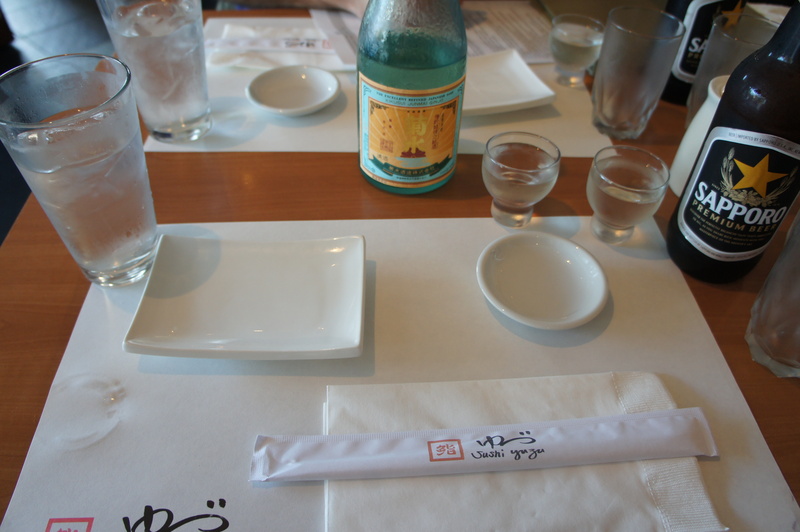 Sushi was at the top of my list when we started planning, and Sushi Yuzu hit it right on the mark. The restaurant was sleek and simple, but beautiful. The chef’s worked diligently yet gracefully and the food was divine. Edamame with white truffle sauce, crab hand rolls, tuna on toast, amazingly fresh sushi, Sapporos all around and a sake toast made for the perfect California sushi night experience. 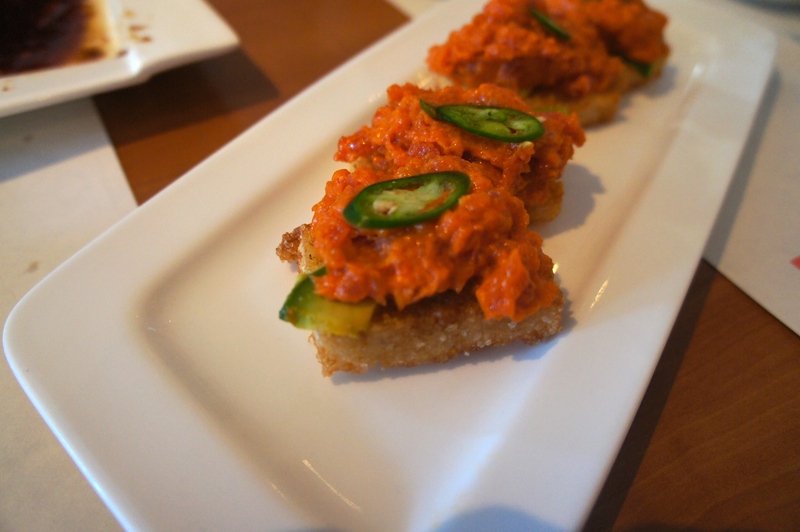 Sushi Yuzu was the ultimate Cali sushi experience! 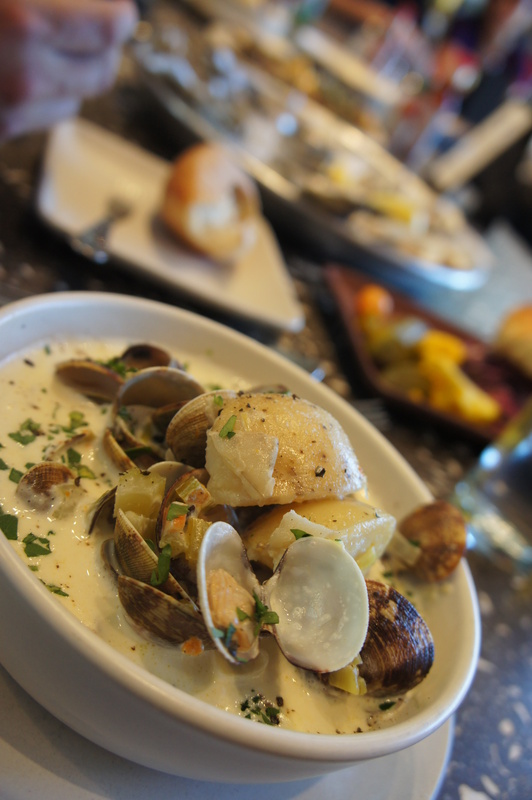 L.A. was very good to our stomachs, but it was time to head up to Napa Valley. 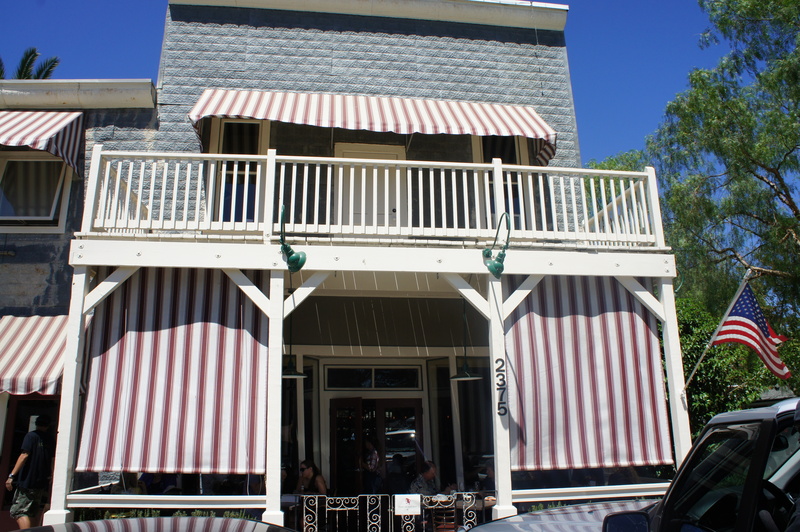 The trip was long, and we made some very delicious stops along the way, including Sides Hardware and Shoes in Los Olivos, where I enjoyed the amazing “Hammered Pig”. A fried pork tenderloin sandwich with red cabbage, and an apple and mustard seed slaw, paired with a local sauvignon blanc. 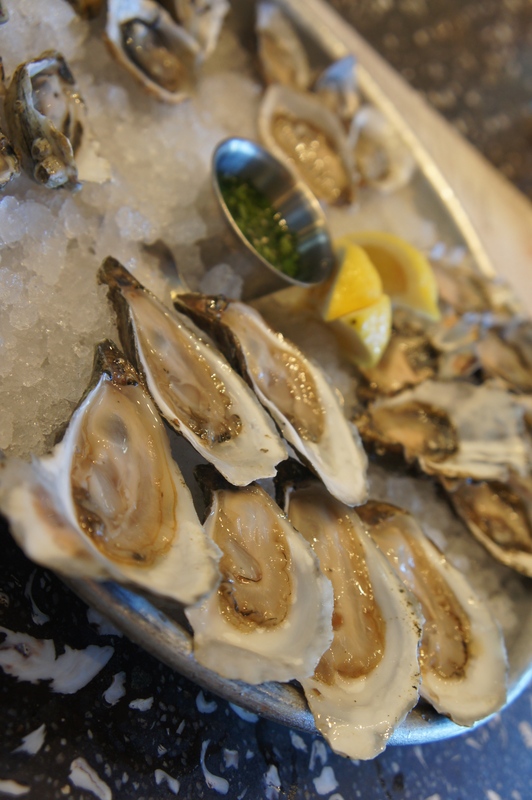 Finally arriving in Napa, our first stop of the day was the Oxbow Market to get our hands on some oysters! Why Oxbow? 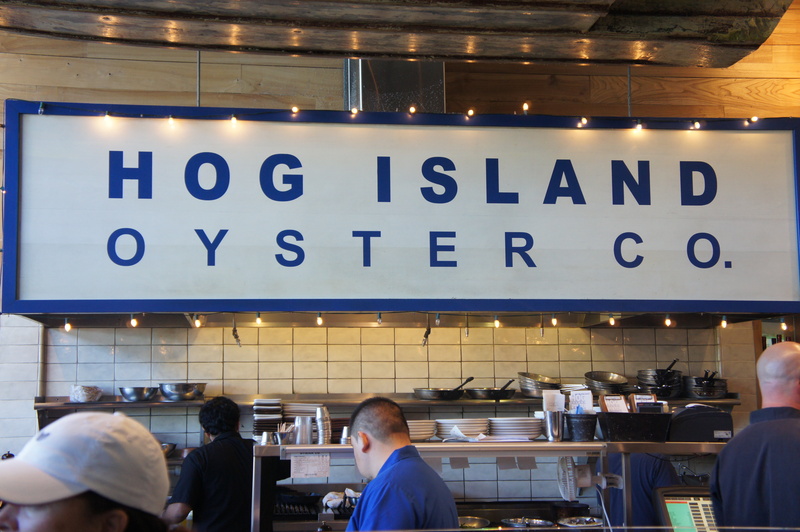 This is where Hog Island Oyster Co. is, and we couldn’t get enough. Our minds kept telling us to save room for the epic dining experience we were about to encounter that evening, but our stomachs demanded more chowder, oysters and po’boys. I’ll let the pictures do the explaining on this one. The epic dining experience we should have been starving ourselves for, was an experience that I will never forget as long as I live. We had the honor of dining at The French Laundry. I wish I could delve into every course, explaining every detail. I would explain how course after course we we’re surprised and delighted with something new and different, something that triggered a memory and something that kept you wanting more. I’d tell you about the pristine dining room, elaborate service and welcoming smiles. The fresh flowers that reminded me so much of the flowers I pick up from Pat for Webster’s. The feeling you get when you walk into a place like that is unforgettable, and indescribable. It’s an experience that you should hold close, and keep the special moments to yourself. Which is exactly what I will do. How do you follow up The French Laundry? You go in the opposite direction, and head to Gott’s Roadside for some of the most delicious burgers in the valley. This was a must-see on our list, and we wouldn’t miss it for anything! 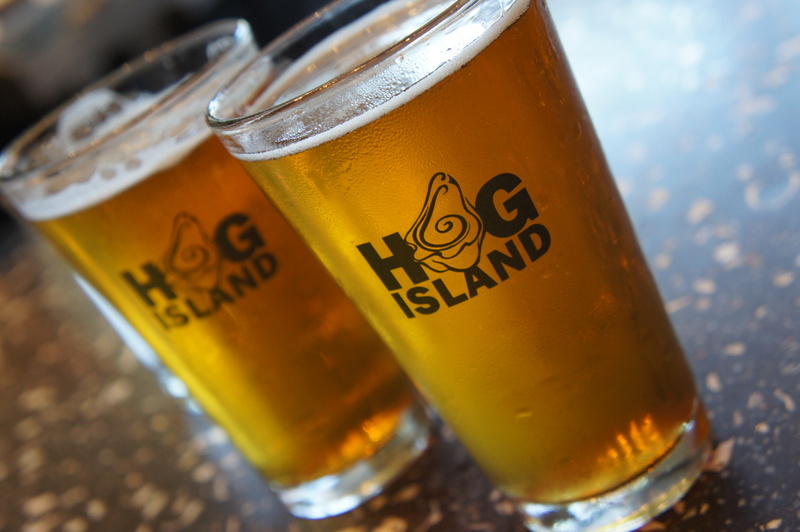 We filled up on burgers, hotdogs, heavenly fries, milkshakes and of course, ice cold beer … again. 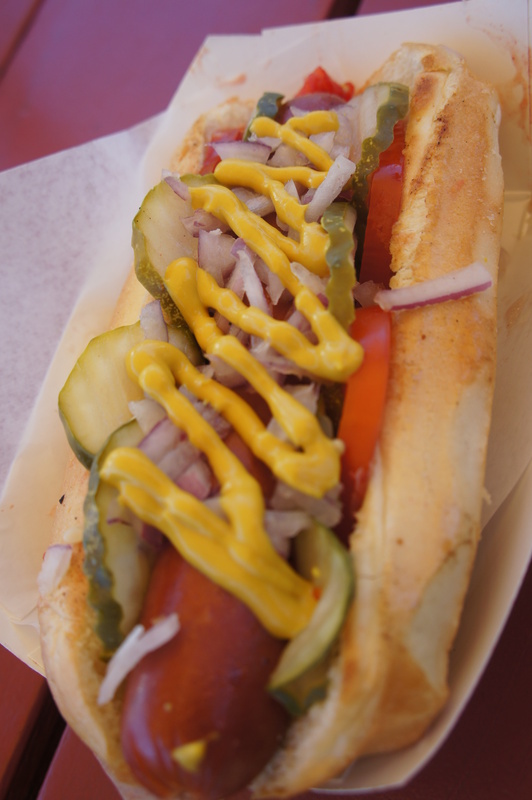 Gott’s Roadside is the perfect place to fill up before a long day of wine tasting. 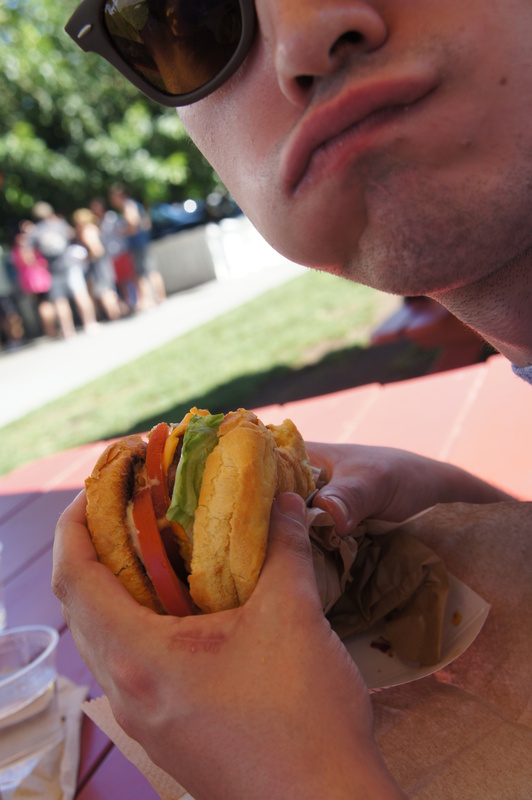 Nate devouring his Gott’s burger, now that’s a food memory! I’m very proud to work somewhere that has hit some of these same chords with people. We’ve had so many memories, big and small, created in our restaurant and we’re honored to be a part. Whether a couple is returning because this is where they were engaged or a local returns for another one of his favorite pastrami sandwiches, we’re just happy to be a part of that memory. Until next time, here’s to making memories in the food world and enjoying your experiences! 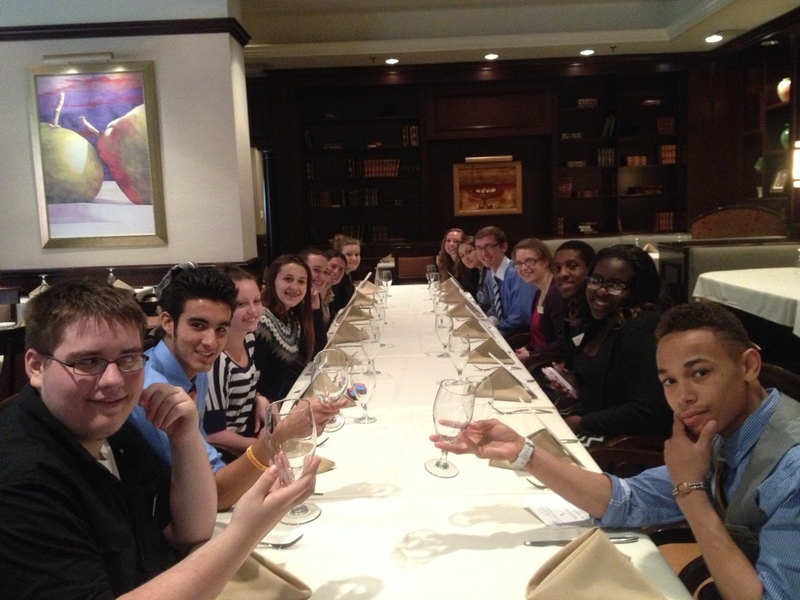 Webster’s was fortunate to recently provide a discussion and lunch for Tammi Mallos and her students at KRESA. The students were ‘job shadowing’ throughout the Radisson in various areas from Housekeeping to Reservations, Front Desk to Security. During the meal we discussed back and forth the merits of hospitality and were challenged to answer questions from the students. Students getting ready to ask questions, and enjoy lunch. I know that society has a bring your child to work day and I remember the career days of decades past when parents would come to our elementary school and discuss their profession. 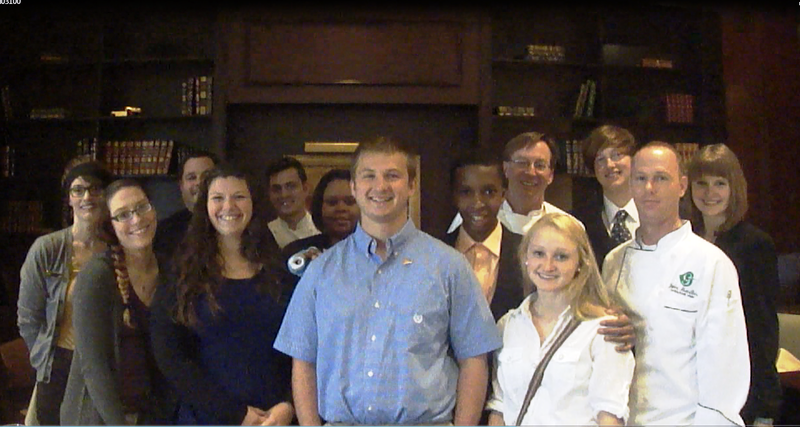 Tammi’s classes are a group of young men and women who have chosen hospitality as a profession and many showed promise. Nate and I prepared a simple steak salad, fresh arugula with pickled onions and sweet red grapes, a nice medium rare beef tenderloin sliced and fanned on the plate, topped with Pecorino slices and a balsamic cream. Nate’s fiancé and our event coordinator Alexa (Alex) served the group. After we sent out the food, we went and sat with the students and discussed our career paths. Our first round of job shadows! John Mendles, our Executive Chef in Banquets and Alec Durocher, Sous Chef of Burdicks joined us as we answered questions from the students. They weren’t bashful, they asked tons of questions, some were intended to break the ice “how long have you worked at the Radisson” to some insightful “what is your favorite food to prepare and why”. We had a blast. Education for Employment (EFE) is an award-winning career and technical education center without walls that offers a wide range of programs to 10th – 12th grade students. Programs are held in multiple locations: in high school buildings, on college campuses, and at actual business and industry sites. EFE programs reflect “real world” applications and maintain the rigorous requirements of the Michigan Merit Curriculum as well as state, national, and industry technical standards and requirements. These students are the future of hospitality. Personally, I’m glad to see them pursue such an important endeavor. The Radisson has several intern opportunities and has partnered well with State Universities and it is wonderful to see some energy and passion prior to college from the EFE students. In a time when Customer Service is often lacking in society, we enjoyed our time with the students. There were some exceptions, such as maintaining their attention when their electronic devices were buzzing. I have three granddaughters, that wasn’t such a challenge. Perhaps more so were the questions regarding their future? I’m not sure any of us had answers. It started me thinking about the assessments I received way back in elementary school, think I was going to be good at farming and industry if I remember right. My father was in public relations, my mom was in medical transcription. I wanted to play golf professionally and my culinary career found me, I didn’t wake up and decide to be a chef one day. These students have such an advantage today with specialized training and access to information. I just hope that they understand what a blessing that can be in their futures. Nate, Alex, John, Alec, and I saw a brief glimpse of the future of Hotel, Restaurant, and Travel Management with Tammi and her students. We were afforded the opportunity to discuss finding passion in your work and the simple understanding that no matter what you do, do your best, try your best, and you will find an inner peace. Others may not recognize it, but there is a satisfaction that comes from knowing you did your best. It sank in with some, others were more interested in Nate’s cream puff dessert, and others yet were looking at their phones. But I noticed the spark in some and that is good enough for me. I’ve seen that spark before, in countless servers who are now teachers and nurses and supermoms and dads to numerous line cooks who now work on cruise ships, are personal chefs and one is a master gardener. Many of us took a circular path to our passion and career, here’s to a shorter distance for Tammi’s students. May hospitality be alive and well with the next professionals from the EFE program thru KRESA. 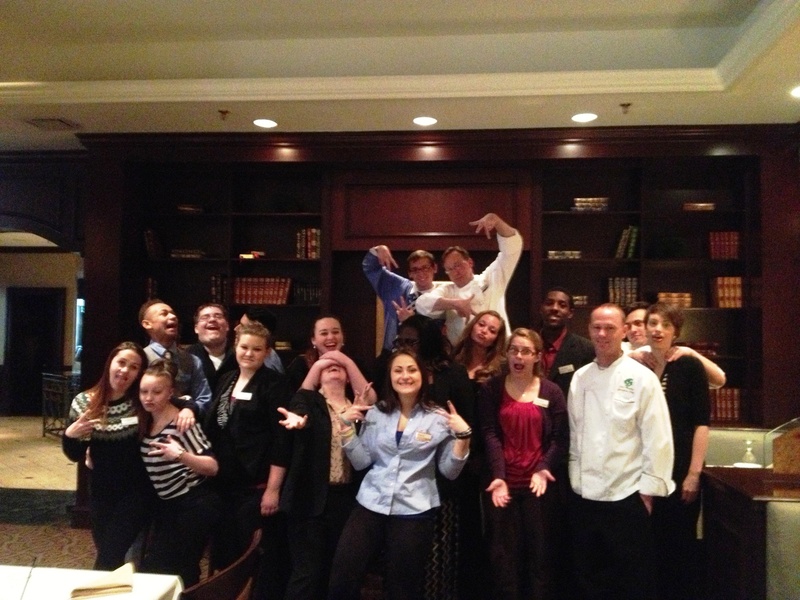 It wouldn’t be F&B if we didn’t have a little fun!